Ecommerce fulfillment company ShipBob has a new partnership with shipping software provider ShipStation. Ecommerce fulfillment company ShipBob can now automatically fulfill orders for merchants using the Squarespace ecommerce platform. The new partnership and technology integration allows Squarespace store owners to easily connect their store, sync inventory and orders, and manage shipments from ShipBob's dashboard. Once the store owner sends their inventory to ShipBob's network of fulfillment centers across the U.S., each order is automatically routed to the ShipBob fulfillment center that can pack and ship the order to the customer in the most efficient and cost-effective manner. Squarespace customers can even use their own custom branded packaging to maintain brand identity throughout the unboxing experience. "We are thrilled to partner with a company that has the same belief in giving all business owners, no matter the size, equal opportunity to succeed in the marketplace," said Dhruv Saxena, CEO and Co-Founder, ShipBob. "Our integration will allow Squarespace's customers to focus on the important parts of running their business and let us take care of back office logistics and shipping." Store owners that sell on other platforms or marketplaces can easily connect those stores to ShipBob as well for integrated fulfillment and inventory management across all sales channels. Multichannel management tool Sellbrite now supports selling on the Jet.com marketplace. The integration allows merchants to list inventory for sale on Jet, manage inventory quantities from multiple warehouses, fulfill orders, and process returns. USPS SCAN forms, allowing a single barcode to be created for scanning in all shipment pickups in a day. Support for eBay Guaranteed Delivery, both the handling time and door-to-door options. Warehouse picklists, making it easier to prepare orders for shipment. Integration with the Deliverr fulfillment service, which provides an FBA-like fulfillment solution for non-Amazon channels. Amazon FBA labelling tool AMZ Labels has added support for sellers who ship to Amazon FBA fulfillment centers using LTL truck shipping. AMZ Labels will convert Amazon's 6-labels per page LTL format to print on 4x6 thermal printers. AMZ Labels also supports thermal printing of UPS inbound FBA labels and individual FNSKU barcodes. Ecommerce fulfillment service provider ShipBob has opened a new warehouse in Dallas, Texas. The Dallas facility is ShipBob's fifth fulfillment center and their first in the southern United States. "We're excited to welcome Dallas to the ShipBob family and continue our mission of creating a network of fulfillment centers close to where our customers reside," said ShipBob CEO and co-founder Dhruv Saxena. "ShipBob may be new to the Dallas area, but with so many ecommerce companies in the region, we're now in the perfect position to help these companies grow their businesses by providing the highest quality shipping and logistics in the region and the country." Dallas is ShipBob's first warehouse to open since announcing a Series B investment of $17.5 million led by investment firm Bain Capital Ventures. Along with Bain Capital Ventures, this round saw participation from existing investors - Hyde Park Venture Partners, FundersClub, Hyde Park Angels and FJ Labs LLC. The new location will be able to offer customers in the Dallas region same-day shipping, and continues ShipBob's strategy of distributed inventory, a method of providing customers with diverse locations to reduce shipping costs, times and distances. ShipBob's warehouse will bring new jobs to the area with plans to hire over 100 employees over the course of the next two months. ShipBob has helped more than 1,000 ecommerce companies ship over two million packages to date, with warehouses in Chicago, Brooklyn, Las Angeles, San Francisco, and now Dallas. Multi-channel ecommerce management solution Cloud Commerce Pro now supports using Amazon FBA to fulfill orders from other channels. Users who are already storing products with FBA to fulfil Amazon marketplace orders can now use that stock to fulfil orders for other channels, a practice known as Multi-Channel Fulfilment (MCF). Cloud Commerce Pro can be set to always fulfil orders from Amazon stock, or it can be done manually as and when required e.g. if there isn't sufficient stock in the seller's own warehouse. British multichannel management solution StoreFeeder has added a set of warehouse management (WMS) features to its platform. StoreFeeder's WMS features complement its robust multichannel inventory and order processing suite. The new features include fully traceable stock adjustments over multiple stock locations, and multiple location types, with internal adjustments and an Enterprise-focused API to facilitate external links. StoreFeeder's Enterprise customers can now reduce their reliance on third-party WMS systems, and save potentially thousands of pounds per month. New features will continue to be added over the course of the next six months, including consolidated tote picking - traditionally the reserve of expensive systems in very high-volume operations. "Our Enterprise customers have seen huge savings already," said Karl Ciz, StoreFeeder's Head of Sales, "the new WMS features mean that customers can now benefit from a single system to replace multiple systems, saving time, complexity and cost". StoreFeeder was acquired by the Royal Mail Group in February 2015. Multichannel ecommerce tool Ecomdash has announced an expanded integration with Fulfillment by Amazon (FBA). Highlights include automated inventory syncing, automated order routing, a new internal transfer module, and the ability to prioritize FBA among other fulfillment methods. This latest integration intends to thoroughly improve and automate backend operations for sellers who use Amazon's FBA service. "We've been working hard at developing a capable, full-fledged inventory management solution for Fulfillment by Amazon, and I'm very proud of the team here for what we produced," said Kevin Loomis, CIO and co-founder of Ecomdash. "Our customers can now embrace the convenience of FBA with significantly less time-consuming backend tasks." Ecomdash's multi-function FBA integration syncs inventory across multiple channels and platforms to greatly reduce the risk of overselling. Sellers can set fulfillment priorities at the product level, ensuring the fastest fulfillment possible for each order. Automatic routing of sales orders from any channel to Amazon's FBA service allows sellers to maximize the convenience of FBA. "We set out to create the most total integration package a seller could want for FBA, a system that automates as many tasks as possible," said Loomis. "These features, whether you're a new seller or an enterprise seller, will help you speed up your fulfillment process, reduce wasteful errors, and save more time than you thought possible." Other recent upgrades from Ecomdash include integrations with Intuit QuickBooks Online, Jet.com, and ShipStation. Ecomdash's next focus is an integration with the Walmart marketplace. Multichannel ecommerce tool Ecomdash now supports sellers with multiple fulfillment warehouses. The update allows ecommerce businesses who use multiple warehouses or dropship suppliers to sync their inventory, route sales orders, and manage shipping across channels from a single tool. "Support for multiple warehouses is a major step forward in our continued mission to help omnichannel ecommerce sellers scale their businesses," said Darrin Kidd, co-founder of ecomdash. "Our tool already offers the best value for ecommerce automation available, and this just reinforces our commitment to provide an excellent tool at an affordable price." 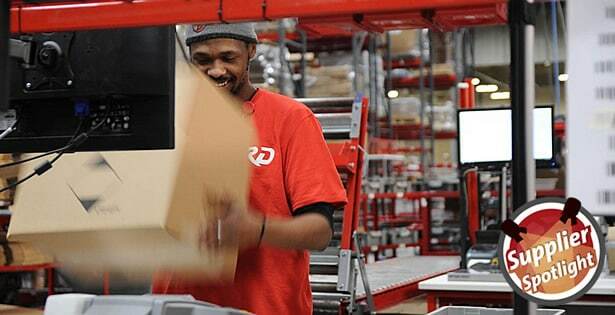 Multi-warehouse support will include the ability to prioritize warehouses for purchase orders and fulfillment, track inventory in transit between warehouses, and automatically route sales orders to alternate warehouses if the higher priority warehouse is unable to fulfill the order due to low inventory. The fulfillment service from UK ecommerce outsourcing company Trojan Electronics can now automatically process orders from deals site Groupon. The latest update to Trojan's warehouse management system (WMS) and enterprise resource planning (ERP) systems includes an API integration to Groupon. This allows orders to be received electronically and imported directly into Trojan's systems, then processed alongside orders from other sales channels. Trojan's system updates stock levels to avoid over-selling and passes carrier dispatch information back to Groupon. Another feature of the system update is a new carrier-selection module which automatically selects the most effective carrier and service for each shipment. Trojan can ship orders using its own shipping accounts, or the customer's own account - as long as the carrier supports it. Clive Murphy, managing director of Trojan, said, "This is another significant step in the development of our industry leading IT system and allows us to dynamically connect further with trusted partners." Fulfillment outsourcing company Shipwire has a new service which finds the best fulfillment centers for its customers. With the Network Optimization Service, Shipwire customers choose the regions they want to ship orders to when they sign up. Then the Shipwire Customer Success team (including experts in sales, customer support, implementation, support engineering and account management) selects the most appropriate fulfillment centers for their business. Multi-channel ecommerce tool SellerActive has added support for Amazon Merchant Fulfilled Prime this week. Eligible sellers can now use SellerActive's Desktop Shipper module to send Prime orders from their own warehouses, and qualify for Amazon's negotiated rates. SellerActive has also updated their Pricing Manager page with an icon to indicate items that are at their floor price. Marketplace management tool Veeqo is now integrated with Amazon's FBA fulfillment service and the Zapier automation platform. From within Veeqo sellers can now track FBA and FBM orders, view stock of FBA and FBM products separately, and filter reports by Amazon FBA and FBM. Veeqo has also integrated with Zapier, an integration platform which connects hundreds of services including MailChimp, Zendesk and Twitter. One example of what Veeqo and Zapier can do once connected, is automatically add customers to a MailChimp list after they've placed an order in Veeqo. Veeqo are currently in the testing stages of their Zapier integration. UK third-party logistics company James and James Fulfilment has opened its fourth warehouse, this time in Northampton in central England. The new 125,000 square feet fulfillment location on the Brackmills industrial estate will allow James and James to offer later cut-off times to retailers, with the warehouse close to the central hubs of many major carriers. In addition to two UK locations, the company recently opened warehouse spaces in Columbus, Ohio and Auckland, New Zealand. Marketplace management tool Sellbrite now supports automated routing of multichannel orders to Amazon FBA for fulfillment. Using the new feature, merchants selling on multiple sales channels, including Shopify, Woocommerce, eBay, and Etsy, can now automate the fulfillment of all their orders through FBA. Sellbrite has also added a new "product tags" feature so inventory can be tagged then searched and filtered for faster listing and bulk updating. The latest update of ecommerce management software SalesWarp includes support for multi-channel fulfillment using Fulfillment By Amazon (FBA). SalesWarp now offers FBA order routing for orders that originate not only on Amazon, but also on Bigcommerce, Shopify, Magento, and eBay, directly through the Amazon API. In addition, SalesWarp provides visibility of total inventory available for sale through FBA, and sends shipment confirmations including tracking numbers. Sellers utilizing multiple fulfillment methods such as dropshippers, internal warehouses, and Amazon fulfillment services can view real-time stock for every product in the system. Multi-channel fulfillment (MCF) using FBA allows sellers to use Amazon's fulfillment service to process orders placed through other marketplaces or an independent webstore. UK third-party logistics company James and James Fulfilment has opened its first overseas location in the US at Columbus, Ohio. The purpose-built storage and office facility extends to 400,000 square feet, and will enable faster and more competitive shipping rates to US end customers. Other advantages for international retailers include avoiding import duty and customs delays for customers in the USA. "We are very excited about having a physical footprint in the USA", said James Hyde, Operations Director of James and James. "Although we already service overseas e-retailer clients, this is a significant extension of our capability that will set us up strongly for the next stage of our growth path." Almost half of the American population is within one day's drive of the new warehouse, as is a third of the Canadian population. The warehouse is located on the Intermodal Campus at the Rickenbacker Global Logistics Park, which boasts a central position in the Midwest of the USA, with fast access to seaports and Central Mexico by rail, and access to Asia and South America by air. The new US facility is the first of a global network currently being set up by James and James to service a growing group of international clients. The move signals the company's ambitions to be a major global provider of e-fulfilment services, building on their rapid success in the UK. Their ControlPort software is highly regarded for its real-time, cloud-based operation that allows e-retailers and end customers to access their data at any time and at any location. First shipments from the new facility have already begun. 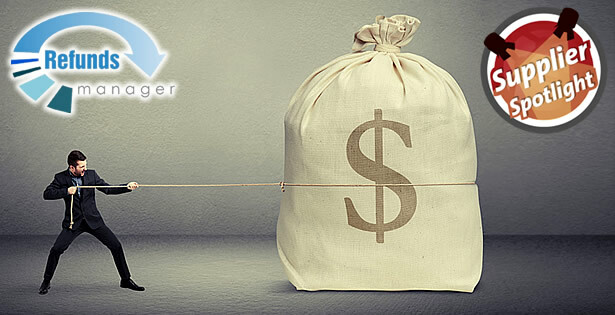 Fulfillment outsourcing company Shipwire now has a monthly minimum fee of US $500. All new Shipwire accounts created after October 1, 2015 are already subject to the minimum, and clients who signed up before that date will fall under the new policy from May 1, 2016. If the total fee for storage, handling, shipping, and other services is below $500 in any month, Shipwire will add an extra fee to reach the minimum. Shipwire, part of Ingram Micro Commerce and Fulfillment Solutions since 2013, have been investing heavily in technology, fulfillment centers and their partner network. Multichannel management tool Stitch has added new features including barcoding; support for five new international Amazon sites; and an integration with fulfillment company Shipwire. Barcoding in Stitch, previously in beta, has now been officially launched. Barcode scanners can be used for processing incoming stock, in the pick and pack fulfillment process, and for stocktakes. Stitch is now integrated with Amazon Spain, France, Germany, Italy and Mexico, in addition to Amazon US, Canada and UK. Stitch's reports make it easy to see sales, profit margins and FBA fees for each Amazon marketplace. Stitch is now integrated with international third party logistics (3PL) company, Shipwire. Stitch can automatically send offline, wholesale, and online orders to Shipwire for fulfillment from warehouses around the world. Marketplace and inventory management tool Sellbrite has a new integration with Amazon's logistics service Fulfillment By Amazon (FBA). FBA merchants can now see FBA inventory quantities for every product. Quantities update rapidly to reflect changes at Amazon, and new products added to FBA are updated in Sellbrite automatically. Quantities can be independently managed for each sales channel connected to Sellbrite. Orders from any of Sellbrite's supported sales channels can be fulfilled via FBA, existing orders can be reassigned to FBA, and orders split for fulfillment through different methods. Sellbrite merchants can also now manage inventory from multiple warehouses, independently of FBA. UK third-party logistics company James and James Fulfilment has announced their own ecommerce retailer awards. The inaugural James and James eCommerce Awards will be open to ecommerce retailers servicing consumers from all industry sectors, who can demonstrate innovation and excellence in their respective category area. Any eCommerce business can apply provided they sell something over the web (the website has a function to take a payment and process an order). Winners receive an official certificate and web badge to display on their site. Order management tool ShipStation has added a new time-saving feature which automatically routes third-party fulfilled orders to the appropriate fulfillment provider. The new feature, called Auto Fulfillment, sends orders handled by Fulfillment by Amazon (FBA) or Shipwire to the fulfillment service automatically. ShipStation has also announced an integration with Zoey (formerly Pixafy), an ecommerce SaaS solution built on Magento. With Zoey anyone can setup, launch and manage a professional online store, leveraging the benefits of Magento, and get advanced features across marketing, SEO, products, analytics and more. Through the integration, Zoey merchants can access discounted USPS rates, direct carrier integrations, multi-channel order management, custom packing slips and email templates, and more. ShipStation's Vice President of Marketing Robert Gilbreath said, "Like ShipStation, Zoey offers a powerful solution for etailers while maintaining a similar commitment to crafting an intuitive solution. We look forward to helping Zoey merchants with order fulfillment and to offering ShipStation merchants another shopping cart option." Multichannel ecommerce solution Volo has released a new management and analytics tool for Amazon FBA sellers. The new feature, called FBA Connect, is designed to help sellers grow their Amazon sales and improve their operational efficiencies. FBA Connect provides a workflow that allows users to analyse sales performance on Amazon, automate the synchronisation of stock levels, receive sales orders, perform multi-channel fulfilment, book FBA partner couriers, organise FBA consignments and raise shipments. By mirroring the Amazon FBA workflow, Volo FBA Connect enables sellers to run all aspects of their Amazon business – along with their other sales channels and marketplaces – from within the Volo platform. Volo's analytics gives sellers an accurate picture of stock performance so that they can select the right quantities of the right items with the best potential to sell, and then fulfill them in the most cost-effective manner. FBA Connect also allows businesses to separate pick, pack and dispatch for FBA consignments from sales orders, so dedicated teams can be assigned different parts of the workflow. Paul Watson, CEO of Volo Commerce, said "Our customers continually tell us that it is hard work managing FBA without good analytics because there are so many data points to consider. By integrating Volo analytics and FBA, sellers can easily allocate items to consignments if they are selling well. It's also important to know how fast an item sells, how many days of stock are left and how long it takes for new stock to come in, so that sellers can plan accordingly. The platform also provides a wide range of labelling and courier options, to maximise cost efficiencies. We are delighted to be able to bring this to market in time for sellers to be ready for the peak trading period." Shipwire has created a new Netherlands Import Guide with information about business registration, tax requirements, customs and more. Third-party fulfillment service James and James has added an integration with popular Wordpress-based shopping cart WooCommerce. James and James use the WooCommerce API to retrieve orders for fulfillment, then updates WooCommerce once the order has been shipped. WooCommerce is used by a claimed 30% of all online stores, including the Spectator and Entrepreneur.com. Third-party logistics company James and James has upgraded its ControlPort order management software. The new Notification Suite enables retailers to set up automated e-mail notifications about any event that takes place in the warehouse – from a consignment arriving, to the storage costs for slow moving goods. Alerts are sent automatically by e-mail and are stored until acknowledged. Another new feature is the setting of a trigger value above which orders are be automatically held, until a manual fraud check is carried out. "Notification Suite takes ease of use to a new level", said James Hyde, Operations Director of James and James. "Our retailer clients tell us it's like having another staff member keeping an eye on things around the clock." French marketplace management software provider Neteven has partnered with parcel logistics and fulfillment company B2C Europe. The integration with B2C Europe will allow Neteven merchants to use B2C Europe for automated order fulfillment and returns . Greg Zemor, CEO of Neteven, said, "Cross-border trade being a key strategic component of our company, we had to partner with the most adapted fulfilment provider. B2C Europe matches with this strategy by providing a comprehensive offer to our clients. To ease our clients launch globally, we have been working with the B2C Europe technical team to integrate our software. This one-stop-shop trading solution is a unique solution in line with e-commerce trends". Rijk van Meekeren, CEO of B2C Europe, added, "Many of our current customers are searching to grow their international ecommerce business. Neteven provides excellent technology and market place knowledge that will help our customers expand their business across Europe, USA and Asia." Inventory and sales channel management tool Ecomdash has integrated with Amazon's FBA fulfillment outsourcing service. Ecomdash can identify FBA-fulfilled orders from any supported sales channel and route them to FBA for shipping. Once the Amazon warehouse ships the item, ecomdash obtains tracking information, and sends it to the marketplace where the order was placed. Ecomdash for FBA is priced as a separate add-on. Ecommerce fulfillment house James and James Fulfilment have released a new version of their management software. The new "ControlPort" includes a redesigned interface and major functionality improvements including additional data filters. Retailers can now see a clearer sales history, with data updated in real time as well as being available for any past period. Data mining reports can be run, and filtered by criteria including customer location, sales channel, despatched weight, total order value and more. ControlPort uses a system of "earmarking" stock against orders as they are taken, rather than when the order is picked, to avoid overselling. The system also shows the company's actual performance against their own KPIs so users can see how well they are performing. "In this major new revision, we have incorporated all the old features that made the real-time cloud fulfilment system so popular, but have added powerful new data tools that put retailers firmly in charge of their data," said James Hyde, Operations Director of James and James. Changes include a more professional and modern interface, a new product catalog, spreadsheet product upload, aliases and "virtual kits", better support for large catalogs, workflow improvements, easier resending of orders, a new Shopify app, and more. Marketplace management tool Shopseen has added support for ad-hoc fulfillment services from ShipBob and Shipster. The new integrations allow Shopseen merchants in NYC or Chicago, USA, to choose Order Pickup for orders within Shopseen. ShipBob or Shipster will then come to pick up, pack and ship the order. Fulfillment service Shipwire is now integrated with ecommerce pre-ordering platform Celery. Celery can be used to take pre-orders for new products, or back orders for products that are out of stock. It can also be used to run crowdfunding campaigns on your own website. 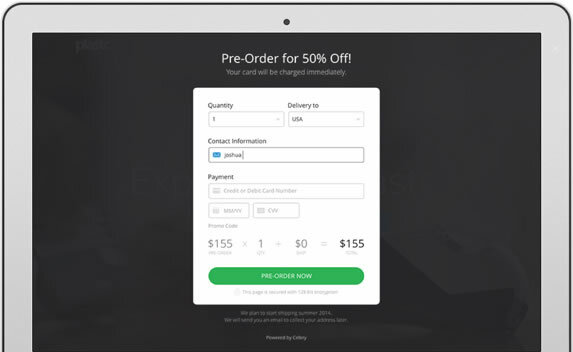 Celery includes a complete checkout, and takes credit card details but does not charge the buyer until the product is available to ship. The Shipwire integration means orders can be shipped automatically once payment is received. eBay's shipping outsourcing operation, eBay Enterprise Fulfillment, is to open a new fulfillment center in Liepzig, Germany. The new 280,000 square-foot facility, located in the Halle district north of Leipzig, will provide access to more than 70 carriers and 350 service options for cross-border shipping throughout Europe. It is scheduled to open in the second quarter of 2015. "Fulfillment remains the linchpin of a successful omnichannel operation and this new German facility allows us to support our clients' local and pan-European fulfillment needs," said Michael Kliger, Vice President International, eBay Enterprise. "We are committed to providing European brands and retailers a localized fulfillment and shipping solution that can offer the scale, reliability, and cost efficiencies they demand for their digital operations on a global level." eBay Enterprise also recently announced a new office in Barcelona, and provides commerce technologies, warehouse and store-based fulfillment, customer care and marketing solutions for European retailers including Achica, Finlux, Peak Performance, and Tiger of Sweden. Order fulfillment service Shipwire has released a new and improved inventory management screen for users of their latest application version. The redesigned interface is now consistent with the rest of the new Shipwire, and also makes it easier to define alerts. Changes for future releases include inventory summed up at the individual level (inclusive of cases), and improvements to list navigation. Order fulfillment company Shipwire has released new APIs and a developer center to help third-parties connect to their services. The new RESTful APIs replace older XML APIs and provide access to stock, rate and order information. A new Developer Center with complete API reference, tutorials, product roadmap and interactive test console will help developers build tools compatible with Shipwire. Shipwire Marketing Director Dimitri Onistsuk wrote on the Shipwire blog, "The Developer Center will house the world’s most robust shipping and logistics API. This launch is just the start of a whole new phase in developer support, and we look forward to hearing your feedback about these changes." UK fulfillment house James and James Fulfilment has been shortlisted for the Best SME award at the Supply Chain Excellence Awards to be held on 5 November in London. The nomination recognises the work done with client Larsson and Jennings in providing innovative e-fulfilment services to customers for their high quality range of watches. The nomination recognised a new responsive fulfilment system that needed to be implemented quickly to meet seasonal deadlines, without jeopardising the customer experience. James and James have also been nominated in the Best Innovation in eCommerce Delivery/Logistics category in the eCommerce Excellence Awards. UK order fulfillment service James and James has moved its warehouse and half a million products to a new location, while still packing and shipping every order on time. The move took place over the August bank holiday weekend and saw the relocation of 1,000 locations containing 500,000 products. All the weekend's orders were packed and shipped by Tuesday afternoon, in line with the company's customer promise.